Information overload is a hot topic these days. I've really enjoyed recent essays by Aaron Saenz ("Are We Too Plugged In? Distracted vs. Enhanced Minds"), Michael Sacasas ("Technology Sabbaths and Other Strategies for the Digitized World"), and Peggy Noonan ("Information Overload is Nothing New") discussing this concern in a thoughtful way. Thoughtful discussion about this issue is sometimes hard to find because, as I've noted here before, information overload is a subject that bitterly divides Internet optimists and pessimists. The pessimists tend to overplay the issue and discuss it in apocalyptic terms. The optimists, by contrast, often dismiss the concern out of hand. Certainly there must be some reasonable middle ground on this issue, no? 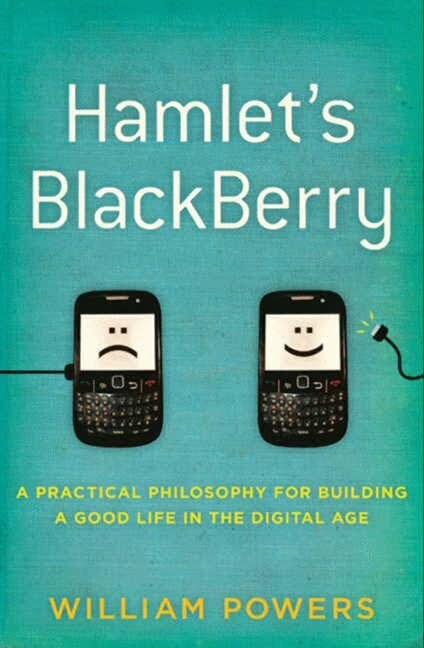 Continue reading Coping with Information Overload: Thoughts on Hamlet's BlackBerry by William Powers . . .
Net Skeptics, Pessimistic about the Internet Improving the Lot of Mankind: The first variant of Internet pessimism is rooted in general skepticism regarding the supposed benefits of cyberspace, digital technologies, and information abundance. The proponents of this pessimistic view often wax nostalgic about some supposed "good 'ol days" when life was much better (although they can't seem to agree when those were). At a minimum, they want us to slow down and think twice about life in the Information Age and how it is personally affecting each of us. Other times, however, their pessimism borders on neo-Ludditism, with proponents recommending steps be taken to curtail what they feel is the destructive impact of the Net or digital technologies on culture or the economy. Leading proponents of this variant of Internet pessimism include: Neil Postman (Technopoly: The Surrender of Culture to Technology), Andrew Keen, (The Cult of the Amateur: How Today's Internet is Killing our Culture), Lee Siegel, (Against the Machine: Being Human in the Age of the Electronic Mob), Mark Helprin, (Digital Barbarism) and, to a lesser degree, Jaron Lanier (You Are Not a Gadget) and Nicholas Carr (The Big Switch and The Shallows). Net Lovers, Pessimistic about the Future of Openness: A different type of Internet pessimism is on display in the work of many leading cyberlaw scholars today. Noted academics such as Lawrence Lessig, (Code and Other Laws of Cyberspace), Jonathan Zittrain (The Future of the Internet & How to Stop It), and Tim Wu (The Master Switch The Rise and Fall of Information Empires), embrace the Internet and digital technologies, but argue that they are "dying" due to a lack of sufficient care or collective oversight. In particular, they fear that the "open" Internet and "generative" digital systems are giving way to closed, proprietary systems, typically run by villainous corporations out to erect walled gardens and quash our digital liberties. Thus, they are pessimistic about the long-term survival of the wondrous Internet that we currently know and love. Despite their different concerns, two things unite these two schools of techno-pessimism. Continue reading Two Schools of Internet Pessimism . . . The August 5th issue of The Economist had a compelling cover story entitled "Leviathan, Inc." in which the author notes "[p]oliticians are reviving the notion that intervening in individual industries and companies can drive growth and create jobs." But direct, long-term government management of companies, corporations or, worst yet, entire industries has proven time and again not to be successful. Simply put, the head of a company makes decisions to maximize the outcome for that company and its owners or shareholders. Any government employee—even one in a role as acting head of a private company—is legally required to make decisions under a far stricter set of guidelines. Guidelines which force the decisions to be made for what is best not for the business they are charged with operating, but for the country as a whole. This is the case even if the decision made by the bureaucrat will result in a 'net negative' to the company and its owners/shareholders. The article's anonymous author suggests that instead of "pick[ing] winners and coddl[ing] losers," government should improve the environment for all business by reducing regulations, investing in infrastructure, and "encourage winners to emerge by themselves, for example through the sort of incentive prizes that are growing increasingly popular." Continue reading The Broadband Investment Leviathan . . . I've noted here before that Gordon Crovitz is my favorite technology policy columnist and that everything he pens for his "Information Age" column for The Wall Street Journal is well worth reading. His latest might be his best ever. It touches upon the great debate between Internet optimists and pessimists regarding the impact of digital technology on our culture and economy. His title is just perfect: "Is Technology Good or Bad? Yes." His point is that you can find evidence that technological change has both beneficial and detrimental impacts, and plenty of people on both sides of the debate to cite it for you. He specifically references the leading pessimist, Nicholas Carr, and optimist, Clay Shirky, of our time. In The Shallows: What the Internet is Doing to Our Brains and The Big Switch: Rewiring the World, From Edison to Google, Carr paints a dismal portrait of what the Internet is doing us and the world around us. Clay Shirky responds in books like Here Comes Everybody and Cognitive Surplus: Creativity and Generosity in the a Connected Age, arguing that we are much better off because of the rise of the Net and digital technology. Continue reading Crovitz on the Great Internet Optimist vs. Pessimist Debate . . . I spend a lot of my time as an Internet policy analyst railing against elitist suggestions that "ordinary" users are just too dumb to take care of themselves online, no matter how effectively technology empowers them to make decisions for themselves about the content they and their children consume, what data they allow to be shared about themselves on social networking sites or while browsing, etc. Indeed, Adam Thierer and I wrote a lengthy paper about What Unites Advocates of Speech Controls & Privacy Regulation? attacking such elitism when enforced by paternalist laws that assume everyone has the same values and that only the wise philosopher-kings of technology policy can possibly protect us all from our own stupidity. But of course there are plenty of stupid people in the world, and they often do very stupid things--like walking on the side of a highway with just a few feet between a noise barrier and passing cars just because "Google Maps told you to do so!" That's essentially what Lauren Rosenberg claims in her very stupid lawsuit against Google, after she was hit by a passing car following directions from the beta walking directions tool in Google Maps--and despite the warning Google provided. Danny Sullivan tells the full story at SearchEngine Land, complete with photos that should have caused any reasonably prudent person to think, "Hey, what a minute, maybe that warning label I saw telling me the suggested route might lack sidewalks or pedestrian paths was actually there for a reason!" Continue reading Stupid People, Stupid Lawsuits, Stupid Warning Labels & the Coming Digital Tort Reform Fight . . .
this or any other voluntary effort is not a substitute for the government setting basic rules of the road for the Internet. 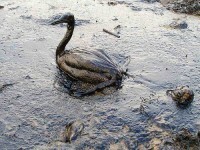 Continue reading What the Oil Spill Really Says About Net Neutrality: Regulatory Capture v. the Nirvana Fallacy . . .
Facebook Triggers Another False Alarm over Corporate "Censorship"
Leo Laporte claimed yesterday on Twitter that Facebook had censored Texas radio station, KNOI Real Talk 99.7 by banning them from Facebook "for talking about privacy issues and linking to my show and Diaspora [a Facebook competitor]. Since Leo has a twitter audience of 193,884 followers and an even larger number of listeners to his This Week In Tech (TWIT) podcast, this charge of censorship (allegedly involving another station, KRBR, too) will doubtless attract great deal of attention, and helped to lay the groundwork for imposing "neutrality" regulations on social networking sites--namely, Facebook. The pages for KNOI and KRBR were disabled because one of our automated systems for detecting abuse identified improper actions on the account of the individual who also serves as the sole administrator of the Pages. The automated system is designed to keep spammers and potential harassers from abusing Facebook and is triggered when a user sends too many messages or seeks to friend too many people who ignore their requests. In this case, the user sent a large number of friend requests that were rejected. As a result, his account was disabled, and in consequence, the Pages for which he is the sole administrator were also disabled. The suggestion that our automated system has been programmed to censor those who criticize us is absurd. More Zittrainian Nonsense about "The Death of the Open Web"
Since Jonathan Zittrain's ideas about the "generativity" have permeated the intellectual climate of technology policy almost as thoroughly as those of Larry Lessig, scarcely a month passes without a new Chicken Little shouting about how the digital sky is falling in a major publication. The NYT has had not one, but two such articles in the course of a week: first, Brad Stone's piece about Google, Sure, It's Big. But Is That Bad? (his answer? an unequivocal yes! as I noted), followed by Virginia Heffernan's piece "The Death of the Open Web," which bemoans the growing popularity of smart phone apps--which she analogizes to "white flight" (a stretched analogy that, I suppose, would make Steve Jobs the digital Bull Connor). What really ticks me off about these arguments (besides the fact that Apple critics like Zittrain use iPhones themselves without a hint of bourgeois irony) is Heffernan'ssuggestion that, "By choosing machines that come to life only when tricked out with apps from the App Store, users of Apple's radical mobile devices increasingly commit themselves to a more remote and inevitably antagonistic relationship with the Web." To hear people like Heffernan (and others who have complained about Apple's policies for its app store) talk, you might think that modern smart phones don't come with a web browser at all, or that browser software is next to useless, so the fact that browsers can access any content on the web (subject to certain specific technical limitations, such as sites that use Flash) is irrelevant, and users are simply at the mercy of the "gatekeepers" that control access to app stores. In fact, the iPhone and Android mobile browsers are amazingly agile, generally rendering pages originally designed for desktop reading in a way that makes them very easy to read on the phone--such as by wrapping text into a single column maximized to fit either the landscape or portrait view of the phone, depending on which way it's pointed. In fact, I do most of my news reading on my Droid, and using its browser rather than through any app--although there are a few good news apps to choose from. In fact, I probably spend about 10 times as much time using my phone's browser as I spend using all other 3rd party apps (i.e., not counting the phone, e-mail, calendar, camera and map "native" apps). So I can get any content I want using the phone's browser, I certainly don't lose any sleep at night over what I can or can't do in apps I get through the app store. I'd love to see actual statistics on the percent of time that smartphone users spend using their mobile browser, as compared to third-party apps. Do they exist? But however high that percentage might be, the important thing is that the smartphone browser offers an uncontrolled tool for accessing content, even if appson that mobile OS do not. Continue reading More Zittrainian Nonsense about "The Death of the Open Web" . . . Please, Let's Have Fewer "Guardrails" Online! Texting While Driving: Regulate or Empower & Educate? Three Cheers for Information Abundance! - Facebook Triggers Another False Alarm over Corporate "Censorship"
- More Zittrainian Nonsense about "The Death of the Open Web"